Every dress has a history. And so does every woman. Phoebe Swift’s friends are stunned when she abruptly leaves a plum job to open her own vintage clothing shop in London—but to Phoebe, it’s the fulfillment of a dream, and her passion. Digging for finds in attics and wardrobes, Phoebe knows that when you buy a piece of vintage clothing, you’re not just buying fabric and thread—you’re buying a piece of someone’s past. But one particular article of clothing will soon unexpectedly change her life. Thérèse Bell, an elderly Frenchwoman, has an impressive clothing collection. But among the array of elegant suits and couture gowns, Phoebe finds a child’s sky-blue coat—an item with which Mrs. Bell is stubbornly reluctant to part. 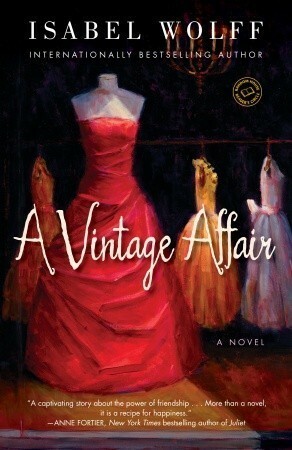 As the two women become friends, Phoebe will learn the poignant tale of that little blue coat. And she will discover an astonishing connection between herself and Thérèse Bell—one that will help her heal the pain of her own past and allow her to love again.